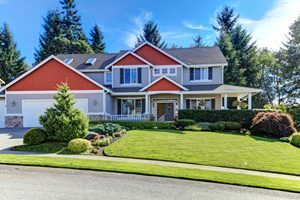 For over half a century, Downers Grove residents have been trusting Allpro Contracting with all their home improvement projects. Our professionals are proud to provide the highest quality interior and exterior remodeling services in the local community. We are adept at paving, hardscaping, roofing, and whole-house remodeling tasks. When you hire our Downers Grove remodeling contractors, you are making the best choice for your property. Call Allpro Contracting today if you need to hire a professionally licensed remodeling contractor in Downers Grove, IL. Our staff would be happy to take your call and to answer any questions that you may have about your project or our skills and services. We can schedule your appointment today. Whether you are interested in a complete kitchen remodel or installing a new patio in Downers Grove, we’re the remodeling company you can trust for quality service and optimum results. At Allpro Contracting, our Downers Grove professionals specialize in concrete paving services. We have the knowledge, skill, and experience necessary to help you create and construct beautiful driveways, walkways, stairs, and patios around your residence. With our assistance, you can build any hardscaping space that you and your family desire. The results will exceed both your aesthetic and functional expectations. If you want to improve how you and your family use your outdoor living spaces, you should consider constructing a new deck or fence on your property. Our Downers Grove professionals specialize in deck and fence design and construction services. With our assistance, you will be able to build a deck or fence that will absolutely transform the look and feel of your home. Your new deck will be perfectly designed for your unique needs. Your fence will be secure, strong, and appealing. If you have never conducted an interior remodeling project, the bathroom is the perfect place to start. Because your bathrooms are highly functional living spaces, any changes that you make to the area can result in substantial benefits. Because your bathrooms are relatively small, these amazingly impactful changes can be conducted quickly and cheaply. If you are looking for a professional Downers Grove remodeling contractor for patios, driveways or other interior and exterior services, then please call 708-658-3500 or complete our online request form.